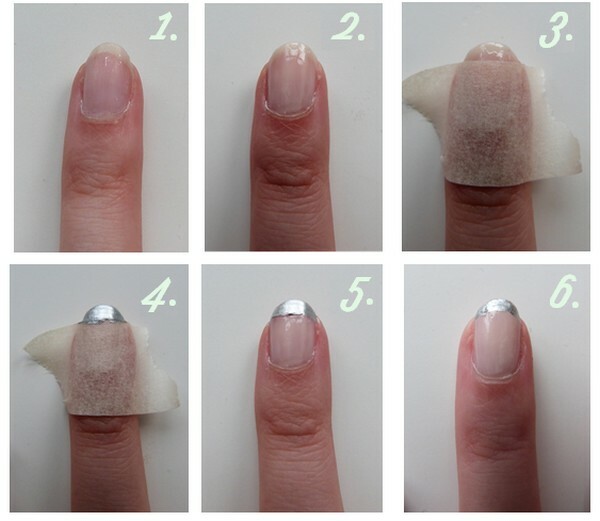 Here’s how you can DIY French manicure your nails at home, dear PYTs and moms! French women don’t have it easy as well, so what’s your excuse of not having time to care for your precious nails. To keep the nails looking classy, elegant and chic, one needs to invest a little time for sure sans the splurge of heavy amounts at costly parlors indulging in french manicures. 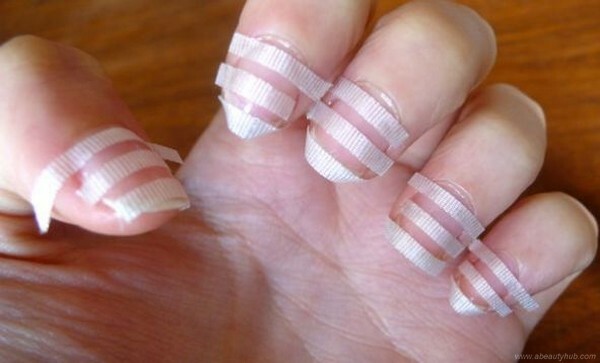 And to say that with utmost conviction, we urge and encourage you to go DIY all the way with french manicure today. Here’s a mini tutorial or guide on how to get those nails, shiny and chic in a few steps- élégant manicure français anyone? Just like many other PYTs around and women too, we all love being pampered; for special occasions or just to boost the mood on any given day, let’s admit it, we want some pampering and big time too. One of the fastest and easiest way with a touch of élan and grace would be to indulge in the famous french manicure. And there are various styles to do the same, culminating with the white thin stripe at the end of the nail tip. Sit back and relax, while your bestie or mom or sister at home does your precious nails like the french women do. Our aim here is to have a contrast between the tip of the nail and that of the remaining nail surface, and we ask you to be patient if this is the first time you’d be doing it on your own. 1. Start by washing your hands and removing any old nail polish with the help of a nail polish remover. If there are stains hiding in the cuticles and the edges of the nails, you could use an orange-wood stick to remove the hidden remnants. 2. Pat dry your nails, leaving them a little damp if possible for trimming to be easy. 3. 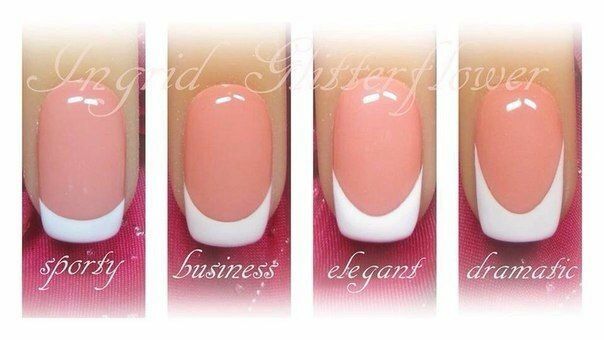 File them in one direction, which allows the corners to easily round up- your aim should be to get the nails shaped in a semi squarish-oval shape. 4. Be wary with the ridges that form on the edge or tip of each nail; do not ignore them- file them into a smooth finish. 5. With the help of a cuticle remover, get the cuticles removed by applying a coat over the area of the nail concerned. 6. A few drops of almond oil should be added in a bowl of warm water, in which you shall now soak your hands for ten minutes. 7. Remove the hands from the water and pat dry. 9. Use a body scrub to exfoliate the palms and the back of the hand, and then apply more cuticle cream with the help of a cotton swab. 10. Use a little more nail polish remover one last time with cotton to clean the nails thoroughly. 11. For the base, start by applying the peachy-pink nail polish on all your fingers, and let it dry. 12. If you want, you can give three more coats of the base peachy-pink nail polish, and wait for it to dry. 13. Following the ways of a traditional French manicures, women keep the straight line only for the nail tip- a strip of white nail polish should be used to do the same, which creates an illusion of longer nails. Apply two coats of the same and wait for it to dry. 15. Apply on each nail a dab of clear nail polish to set the look. Wait for twenty minutes and then go about doing what you want. We hope you loved this mini tutorial and step-by-step guide on how to DIY French manicure at home? Let us know how you liked it!